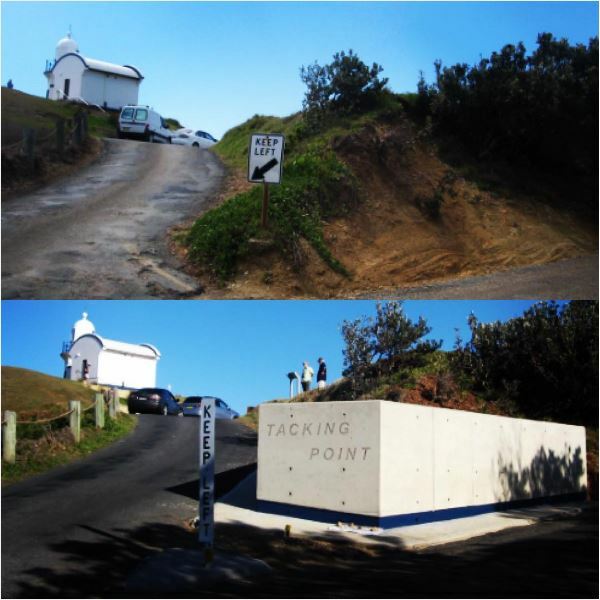 Signage on a new feature wall will formally identify the iconic Tacking Point headland for the thousands of visitors that visit each year. The signage is a part of Stage 5 of the Tacking Point Lighthouse Project opened today by the member for Port Macquarie Leslie Williams and Deputy Mayor of Port Macquarie-Hastings Council (PMHC), Lisa Intemann. “The Rotary Club of Port Macquarie Sunrise are to be congratulated for their outstanding contribution to this iconic location,” said Mrs Williams. Funding for Stage 5 was provided through a State Government Community Building Partnership Program grant of $25,159 obtained by the Rotary Club of Port Macquarie Sunrise, an equal allocation from PMHC and supplementation by Sunrise Rotary. Photographs can be found here.